Hustling and bustling with tourists and locals alike through the year, New York has earned a fitting moniker over the years - “ the city that never sleeps”. Walking through this concrete jungle of skyscrapers with culturally diverse neighbourhoods, a visit to NYC is as good as visiting different countries in one trip. No wonder they say Chinese hot pots from China Town in New York is more authentically flavoured than the hot pots you get in China! The city's architecture is also a perfect concoction of historical and modern buildings, giving the city a breathtaking skyline overlooking the Hudson River. While the New York in March can be quite chilly, the shoulder season makes for a great time to visit the explore the city on foot. Throw on a few layers and you're all good to make the best of New York in March! What makes New York in March Special? Great Weather : As the weather in March sees the end of winter, it’s not as cold as the colder months and neither is too hot like summer. There is just the right amount of snowfall to make the city look magical and this makes it perfect to try out winter sports like ice skating. 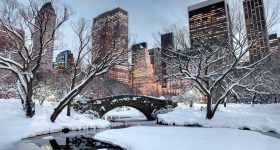 Sparse Tourist Crowds : As most tourists prefer avoiding the wintry months in NYC, the city sees fewer tourists in March, allowing you to roam about the city freely. 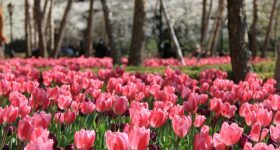 Culture Tasting : March sees many exciting events such as the St. Patrick’s Day parade, Macy’s Flower Show, the Armory Show and even the Flamenco Festival! With festivity floating in the air through the month, you get to taste a slice of NYC's city culture as well. Moreover, ticket prices to some attractions also cost less in March as it is considered shoulder season. Way to save on money! New York in March is a transition period between winter and spring, with the temperatures gradually increasing towards the end of the month. The average minimum temperature ranges from -1°C to 3°C, while the maximum temperature ranges from 7°C to 11°C. You can expect a moderate amount of snowfall and maybe some untimely rainfall too. Central Park, with its lushness, numerous ponds and sculptures offers a refreshing contrast to the skyscrapers of NYC. While ithe lushness maybe veiled under a thin sheet of snow in March, a winter wonderland aura still lingers. 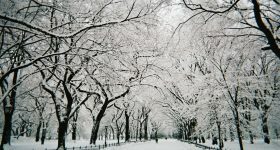 The best part about visiting Central Park in March is that you can go ice skating at Wollman Rink or check out the yearly ice carving show. Pay a tribute to the victims of the appalling terrorist attack in 2001 by visiting the 9/11 memorial and museum. 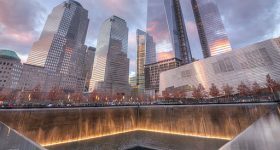 Spend a quiet few moments in remorseful contemplation near the reflection pools at the Ground Zero Memorial and witness the personal stories delicately displayed inside the 9/11 Museum. There will be fewer crowds in March, making it convenient for you to visit. A visit to NYC is incomplete without taking in the phenomenal panoramic sights of the city from the 86th floor of the Empire State Building’s open-air observatory. The sprawling stretch of Manhattan and the ocean beneath you will leave you in complete awe. The Intrepid Sea, Air & Space Museum is an American military and maritime history museum with a collection of museum ships in New York City. 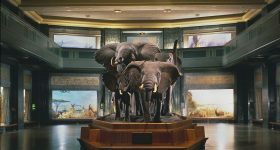 Here, you can examine original artifacts used in the past, view historic video footage and explore interactive exhibits. If you penchant some American marine history, this is a great choice. Explore the length and breadth of New York with this magnificent 20-minute helicopter tour of the city that will allow you to see some of the most iconic landmarks that make up the skyline, like the George Washington Bridge, the Yankee Stadium, and the Palisades Cliffs. Rejoice in the glamour of Manhattan with a scenic Manhattan Island Cruise. 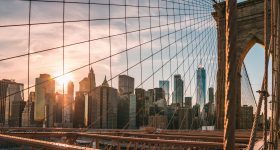 From atop a luxurious boat; the Circle Line Landmark cruise circumnavigates the whole island of Manhattan, as well as other famous sites around the island. From 29 October to 10 March the cruise is available at 12:00 PM daily. From 10 March to 27 April the cruise is available at 10 AM and 1.30 PM daily. Enjoy a guided tour of Washington from New York with a professional guide, and experience the wonders of Washington, its landmarks, architecture, and more on a compact one day tour. With an option to visit the Capitol building, this tour covers the best of Washington DC. Choose any Broadway show of your liking and brace yourself to be utterly and hopelessly spell-bound! With 41 theaters on the NYC Theatre District, there's always a host of options to choose from! Whether you opt for the classics like Lion King or contemporary favourites like the Waverly Gallery; you'll leave home yearning for more of Broadway magic. The Statue of Liberty, New York's most iconic symbol soars to a height of 305 ft. on Liberty Island. There's no leaving NYC without setting eyes on this gigantic cobalt structure. For spectacular views of New York, climb up to the crown of the statue and bask in the city’s skyline. March being a shoulder season, you can even spend a few minutes there without rubbing shoulders with tourist hordes. Originally the private library of financier Pierpont Morgan, the Morgan Library as we know it has been expanded to include a museum, performance hall, library, galleries and more. The museum holds exquisite works of art, and the library holds rare books, historical manuscripts and even the original copy of the Declaration of Independence. The New York City St. Patrick’s Parade is the oldest and largest St. Patrick’s Day Parade in the world, held annually on 17th March in honor of St. Patrick, the patron saint of Ireland. Approximately 150,000 people march in the parade drawing about 2 million spectators.If you're visiting New York in March, make it a point to be a part of this parade and don't forget to wear shades of green! New Yorkers and out-of-towners alike flock to this floral-filled exhibition, where jaw-dropping arrangements decorated to fit a specific theme are on display for two weeks. The theme for 2019's installment is Journey to Paradisios, in which flower arrangements are designed to show off the "mystery of the cosmos". The Armory Show is New York City’s premier art fair and a leading cultural destination for discovering and collecting the world’s most important 20th- and 21st-century art. The Armory Show features presentations by leading international galleries, innovative artist commissions and dynamic public programs. So, art enthusiasts in the house, no better time to visit New York. Brooklyn Flea operates on every weekend of the winter months, and features hundreds of top vendors of furniture, vintage clothing, collectibles and antiques, as well as a wide selection of jewelry, art, and crafts by local artisans and designers, plus delicious fresh food. March being the last month sees massive discounts too! Stroll through this gorgeous display of luscious blooms at the Victorian-style Enid A. Haupt Conservatory at the New York Botanical Garden. This year’s show pays a tribute to Singapore’s rich legacy of innovative garden design, spectacular floral displays, and achievements in orchid cultivation. The Flamenco Festival presents Spain’s finest dancers and singers together for a celebration of flamenco that is stirringly authentic while challenging the conventions of the form. This year sees the return of flamenco icon Sara Baras, performing Shadows, an innovated piece of her native Spain. March is one of the coldest months of the year. It is slightly less bone-chilling than January and is also less prone to snowing and rains. The temperature will often drop below the freezing point. The skyscrapers in the city make the breeze feel stronger while blocking out most of the sunlight. Try to plan your itinerary keeping this in mind. The city of New York welcomes over 60 million visitors every year. Surely, accommodation is not one of the things you’ll need to worry about when in the city. Look for discounted rates on accommodations in March. The city offers places to stay that can fit all kinds of budget. The first advice we should give you is to stay indoors. But if you absolutely can’t, layers are your best friends. Pack plenty of insulated clothing and wear multiple layers of them before stepping out. Keep your feet well warm as that can go a long way in ensuring your comfort. Carry waterproof clothing as well. New York gets an average of 7 days of rain or snow in March. Subway and Buses: The New York City's rail and bus system is one of the most well-connected transportation systems in the world. Running throughout the five boroughs of the city, the buses and trains are frequent, making it one of the most convenient ways of traveling around the city. You can use the same MetroCard for both the buses and the trains, which operate 24 hours a day, 7 days a week. Cab : The city’s fleet of yellow taxicabs and green Boro Taxis are licensed and regulated by the NYC Taxi & Limousine Commission. Cabs make for a convenient option if having to switch trains or buses does not appeal to you. Bike : Many bike rental services are available throughout the city, offering you a low-cost and environment friendly option of traveling across city at your pace. When it comes to pasta, New Yorkers love gnocchi, and both rustic and modern versions are available city-wide. Oozing with cheese, potato and maybe some meat this dish will have you drooling for more. Going out for ramen is perfect for cold or rainy days in New York. The Japanese staple of wheat noodles in a meat or fish-based hot broth is typically flavored with soy sauce, miso, or garlic oil and heightened with toppings like sliced pork belly, dried seaweed, bamboo shoots and soft-boiled egg. Another favourite among New Yorkers is the good ol' hot dog. Traditionally made of ground pork, beef or both, these frankfurter-style sausages are flavored with garlic, mustard and nutmeg before being encased, cured, smoked and cooked. Pick up a hotdog at the street carts on city corners. A dish that is synonymous with NYC is the New York Cheesecake. Made with rich cream, cheese, eggs, flour and sugar, your dining experience in the city is incomplete without trying this simple, yet mouthwatering dessert. Flight tickets and hotels are likely to cost less in March, be sure to take advantage of these by booking well in advance. NYC has a host of Walking Tours and Food Tours, so if you're looking to meet up with like-minded travelers and spend time with locals ; sign up for these tours. 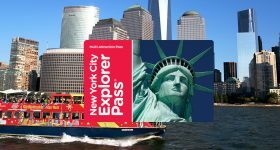 If you're staying in New York for over 2 day, buying the New York Explorer Pass or New York Pass. They help save time spent in queues outside attractions and help cut costs on tickets and experiences around the city. Download the map of the NYC subway to easily navigate through the subway network. Tipping is customary in NYC. As a general rule of thumb, tip 15-20% of your bill for waiters and bartenders. 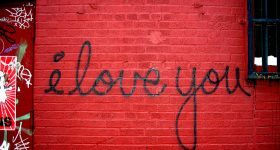 Planning to Visit New York in March?